Now that you have a MyZone, I know you’re itching to use it! 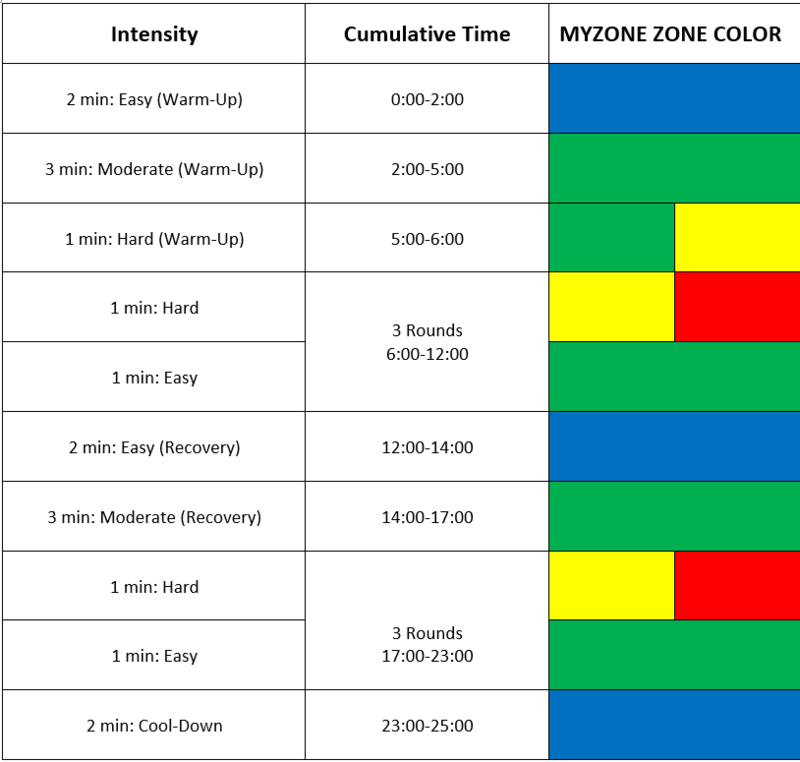 Here’s an easy workout to help you track what Zone you’re in, so you get an idea of where you need to slow down, and where you need to push. You can do this on a bike or a treadmill. This is also a great way to maximize your use of a demo MyZone. If you’re like me, you might find some surprises along the way. Too much red, not enough blue … Let me know what you find! Pull up this post on your phone during your workout, or for easy reference, check the board while you’re on the Strong floor! Newer PostBTTC Men's 4.0 USTA League Team Heading to the Playoffs This Weekend! Older PostA Healthy Breakfast Recipe to Get You Through the Week!